When it comes to frozen summer snacks, most people think of cooling down with a popsicle or a bowl of ice-cream – but if you’re trying to maintain a healthy diet, these summer favourites probably won’t make the cut. But it’s not all doom and gloom! Here are a few simple and delicious options to help you beat the heat without compromising your healthy lifestyle. So easy, yet so delish! As long as you have a popsicle mould, you can create virtually any fruity flavour you like. 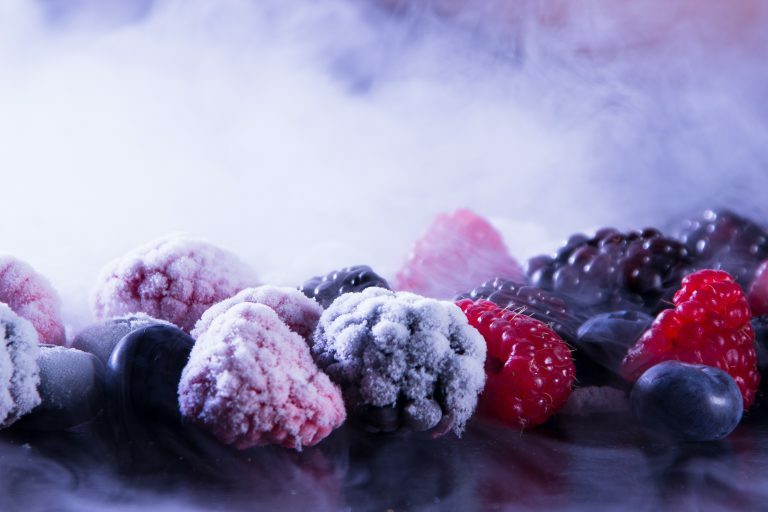 Simply chop and blend the fruit in a blender with water or fruit juice, then pour into the popsicle moulds and freeze – not forgetting to add a popsicle stick once semi-frozen. Try summery flavour combinations like peach and mango, mixed berries, or watermelon and passionfruit to find your favourite. Easier and healthier than a traditional cheesecake, but every bit as delicious! In a food processor, blend plain oats, coconut flakes, and a handful of your favourite nuts until the mixture is crumbly and fine. Then, add in a tablespoon of coconut oil to bind the mixture, forming the base of your ‘cheesecake’. Chill the base in the freezer and, once frozen, top with your choice of yoghurt. Decorate with chopped berries before freezing again, and you’re all ready to serve! When it comes to cooling down in summer, slushies never fail to do the trick – but did you know a regular-sized slushie contains at least 20 teaspoons of sugar? To avoid the unnecessary sweetness, opt for frozen watermelon slushies instead. Just dice and freeze a few cups of watermelon, and blend once frozen. Then, simply add a squeeze of lime juice and enjoy. Plus, you can get even get creative with flavour combinations, by adding fruits like kiwi or strawberry, or even cucumber. The choice is yours! Surely the best way to use up overripe bananas! Just pop the banana’s in the freezer and allow to freeze. Once frozen, peel, chop and blend into a thick, smooth mixture. Then, dress it up with blueberries, dark chocolate chips or peanut butter, and allow to freeze again. The result? Ice-cream so healthy you could eat it for breakfast.